Toddlers and preschoolers can be challenging travel companions, but travel destinations like Disneyland are made for them. I've never been a parent to wait until a certain age to travel with my kids anywhere, and there was no way I was going to miss out on the magic of Disney when my kids believed in it the most (and kids are free until they turn 3 at Disney). Consequently, I've been to Disneyland more than a dozen times with at least one toddler or preschooler in my traveling family. I've made a few mistakes and learned a lot of lessons on our many Disneyland trips. If you are traveling to the "Happiest Place on Earth" with a toddler or preschooler too, here are a few of my best tips. While I give this advice to everyone who visits Disneyland, it's all the more vital for families with toddlers and preschoolers. The lines are simply shorter in the first hour after Disneyland opens than they will be at any other time of day. Toddlers and preschoolers are usually up with the sun anyway. You might as well take advantage of their early wakeup times to experience shorter lines. In fact, some of the rides that are most popular with the toddler and preschooler set will only have manageable lines during this early morning hour. 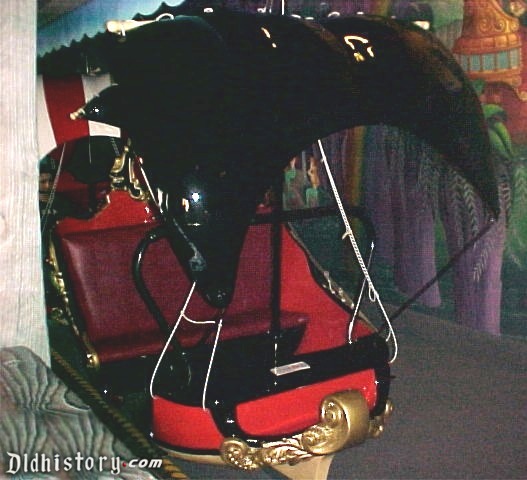 If you want to ride attractions in Fantasyland in Disneyland Park - like Peter Pan, Dumbo or Alice in Wonderland - you simply need to be first into the park. There are so many hotels within walking distance of Disneyland, both on-property and off-property. My family almost always chooses to stay as close as possible to the parks, but proximity is often even more valuable with younger kids. If you stay within walking distance, you are in control of your Disneyland destiny. If your toddler melts down earlier in the evening than you were expecting, you can easily call it a night early. If you forget something essential back at your hotel, running back for it isn't a major inconvenience. Hotel shuttles and even the Anaheim Resort Transportation system can be unreliable and logistically inconvenient. They both might take a while to arrive or be full by the time you are ready to board. And folding up a stroller to fit onto a crowded shuttle bus is frustrating, too. Nothing can ruin a Disneyland vacation more quickly than forcing children to ride an attraction that ultimately scares them and makes them not want to ride anything else. I've had a few friends who have pushed their kids too hard at the toddler/preschool age and paid the price. Just because your kid is tall enough to ride doesn't mean you necessarily should let them. Many taller toddlers and preschoolers may hit the 40-inch height minimum necessary to ride quite a few of Disneyland's thrill rides long before they are emotionally mature enough for them. At 3.5, my daughter was tall enough for rides like Big Thunder Mountain, Tower of Terror (now Guardians of the Galaxy - Mission: Breakout!) and Space Mountain. She was realistically only ready for Radiator Springs Racers and Soarin' at this age. My now 5-year-old son still isn't ready for most thrill rides, so less is sometimes more. Disneyland also has some non-thrill attractions that seem young kid-friendly, but actually aren't. A few of the dark rides in Fantasyland are quite frightening for little kids. Snow White's Scary Adventures has scary in its name for a reason. Pinocchio's Daring Journey is another ride that gets pretty grim. Mr. Toad's Wild Ride, however, probably takes the cake. It has a section of the ride where guests quite literally descend into hell. I'm not joking. If you have a sensitive toddler or preschooler, tread carefully. Speaking of rides, there is no reason that the rest of your family has to have an entirely toddler-centric Disneyland vacation. Most parents and big siblings want to squeeze in a few thrill rides, too. Luckily, Disneyland makes this easier with its Rider Switch service. Rider Switch allows parents to take turns on a ride that their child is too short or too scared to ride. The second parent gets to skip most or all of the line so that families with young kids aren't penalized with additional wait times when they take turns. Use the time when one parent is riding to take your younger child to see a character, ride another more age-appropriate attraction or take a well-timed bathroom break. The last thing you need at Disneyland with a young child is to stand in one more line than is absolutely necessarily. Luckily, Disneyland has finally rolled out a mobile ordering option for most quick-service restaurants. Simply hop onto the Disneyland app to place your food order in advance of meal time. When you arrive at the restaurant, tap to indicate your arrival on the app. Your food is ready in minutes (and occasionally, seconds) without having to have your child stand in line with you. Parents who travel with toddlers and preschoolers have a major advantage over those with older kids - there is no mandatory school to miss. Families flood Disneyland in summer, over spring break, during the winter holidays and on popular long weekends precisely because most kids are out of school during those times. When your child is young and has a more flexible schedule, take advantage and go when everyone else isn't there. Often, many weekdays can be much lower Disneyland crowd days. Check a crowd calendar - like Is It Packed? - and find that perfect midweek day in a slow month. MaxPass can, however, be a smart splurge even for families with toddlers and preschoolers. A few young child-friendly attractions offer FastPass/MaxPass. Most notably, these include two attractions that are deep into the parks: Toy Story Midway Mania and it's a small world. Not having to walk to each ride to get a FastPass can be time- and sanity-saving for families with toddlers. Even if you don't plan to ride enough FastPass attractions to justify the cost of MaxPass for everyone, consider purchasing it for one person. Why? MaxPass includes free PhotoPass photos. For just $15, you can have one of Disney's photographers capture all those magical moments of your toddler meeting Mickey for the first time. If you plan to visit Disneyland for more than just a single day, pushing on from dawn until dusk can be a recipe for disaster with toddlers and preschoolers. After all, even parents rarely have the stamina to do Disneyland for multiple full days. Go back to your hotel for a nap or a swim, if you can. If you don't return to your hotel, schedule some down time at least in the afternoon. My family likes to visit Pirate's Lair on Tom Sawyer Island, let our kids free play in Toontown or sit down for ice cream in Carnation Cafe. The mid-afternoon is also a great time to see longer shows like Frozen - Live at the Hyperion or Mickey and the Magical Map. Despite their name, Baby Care Centers aren't just for babies at Disneyland. They are great spots to take a break for parents of toddlers and preschoolers, too. The Baby Care Centers have necessary supplies like diapers/pull-ups, juice and sunscreen. They also have AC to cool off on a hot day or help get a little one down for a stroller nap. For parents who have a potty-training toddler, the Baby Care Centers have one incredibly important feature that is often overlooked: a toddler-sized toilet. If you haven't potty-trained a child before, you might not know that the loud automatic flush toilets of public bathrooms can cause major fear. Plus, those toilets can be too high and uncomfortable for young kids to use. The toddler-sized toilet can be a lifesaver. There is a Baby Care Center in both parks - look for it at the end of Main Street USA in Disneyland Park (near Plaza Inn) and in the Pacific Wharf area of Disney California Adventure. Last but certainly not least, there's one vital tip I tell all parents considering a Disneyland vacation when they have a toddler. If you can, try to go right before your child turns 3. Why? Kids under age 3 are still free. They don't require a park ticket, and they eat free off a parent's plate at Disneyland character meals and table service restaurants. I've also found that kids nearing their third birthday are old enough to know many of the major Disney characters and still experience a lot of the magic. As a result, it's the perfect age to get major returns without as big of a Disney investment. In fact, celebrating their third birthday at Disney (maybe just a day before), is not a bad idea. Even toddlers and preschoolers can get a lot out of a trip to Disneyland when following these simple tips.